WELLINGTON (92 News) – New Zealand fast bowler Tim Southee is happy to be back in familiar environs after a long tour of the United Arab Emirates, where New Zealand registered a historic Test series win over Pakistan. Southee, who has 224 Test wickets from 61 Tests, is likely to start for New Zealand in the first Test against Sri Lanka at the Basin Reserve in Wellington and may well be reunited with both Trent Boult and Neil Wagner – the trio didn’t feature together in the playing XI in any of the Tests in the UAE. 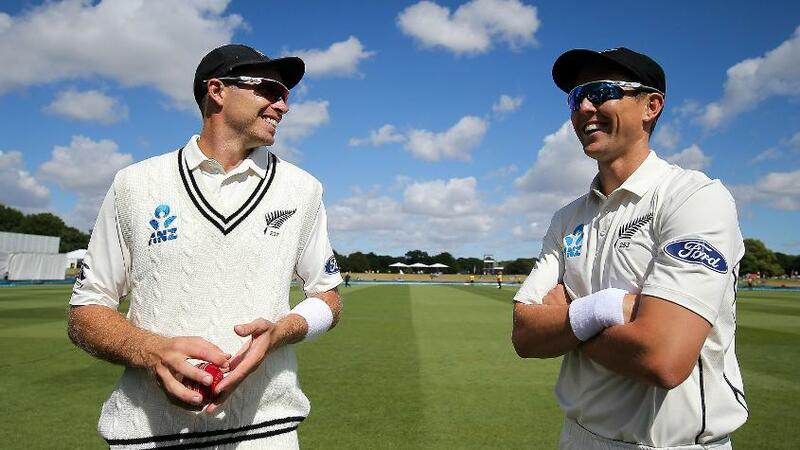 “It’s nice to be back in conditions we’re used to,” Southee told reporters. “We’ve come from a place that wasn’t easy for pace bowlers, so there was a bit of a spring in the step of the fast bowlers anyway. However, seamer-friendly conditions haven’t kept batsmen from scoring runs in New Zealand, as evidenced by Shakib Al Hasan’s double century two seasons ago. And so, while the surface has a decent covering of grass, Southee isn’t the one to draw any conclusions. “It’s nice to see some grass on the wicket but I remember a couple of years ago Bangladesh ended up scoring 500-and-something in the first innings,” Southee recalled. The first Test against Sri Lanka begins on 15 December in Wellington and will be followed by the Boxing Day Test in Christchurch.